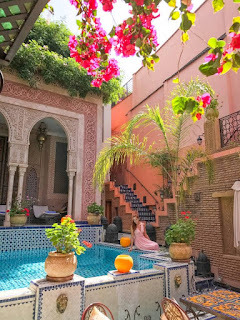 Marrakesh, also known by the French spelling as Marrakech, is a perfect spot for a long weekend trip from London, Amsterdam, or any other European city. It’s a place of immense beauty and culture, that sits beneath the dramatic peaks of the Atlas mountains and mystique deserts. I visited Marrakech twice, as I absolutely fell in love with this place. I can’t wait to go back again. 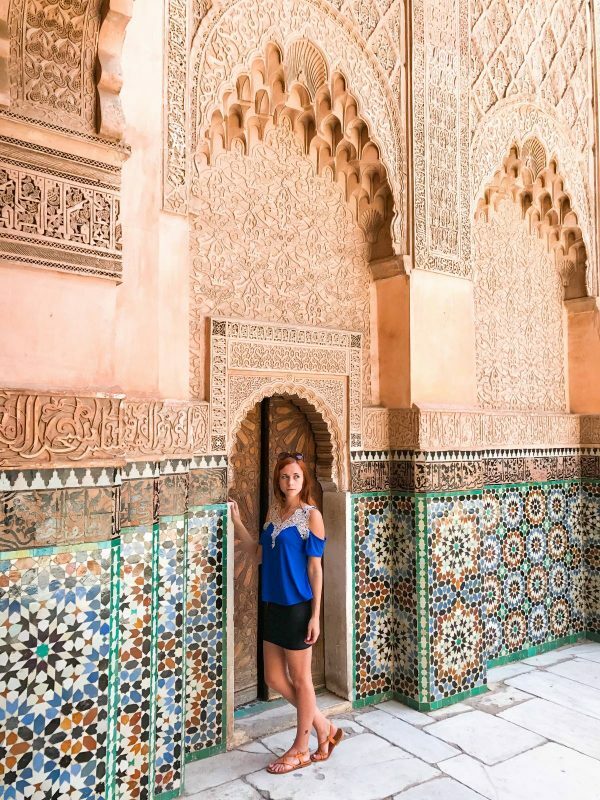 Whether you’re a solo traveler, a couple, or a group of friends, Marrakesh will meet your needs. If you’re planning a weekend in Morocco, Marrakesh might be your best choice. 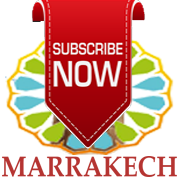 After you read what to know about Marrakesh in order not to get disappointed, you can start planning your itinerary. Getting to Marrakesh is quite easy and inexpensive. 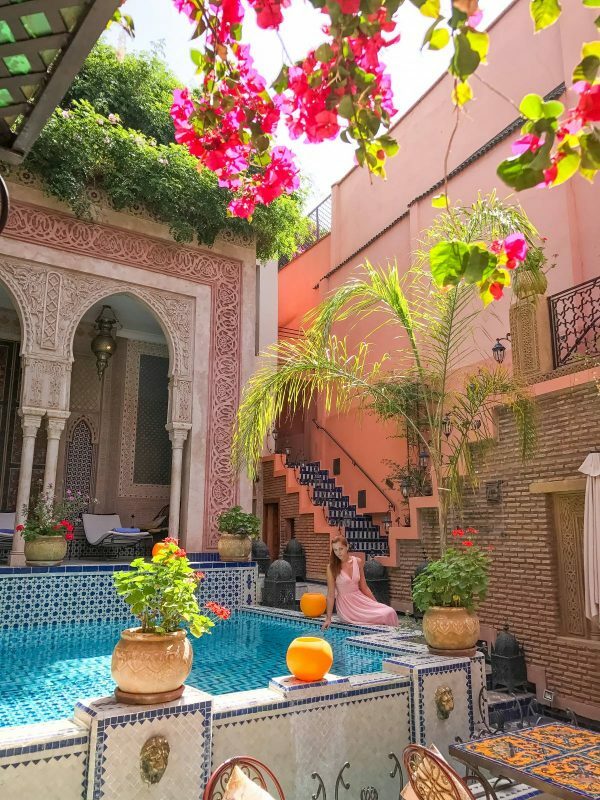 You can fly to Marrakesh Menara Airport (RAK) from the UK, Netherlands, Spain Or Portugal for less than $100-$150 return. It doesn’t have to be a cheap airline like Ryan-air if you’re not a fan of it. I used Transavia and Royal Air Maroc. I recommend checking on Sky scanner to find the best deals for flexible dates. After your arrival take a taxi to your accommodation, you might want to relax for a bit. If you arrive in the morning, you’ll have time to go explore right away. Alternatively, you can start off with a traditional Moroccan hammam. Hammam is a steam room, similar to a Turkish bath, where Moroccans habitually go each week to cleanse themselves. It’s a hot steam bath followed by a massage. Sounds wonderful, but it’s not your typical spa. You’ll have to leave your shyness behind, as the first thing to do at the hammam is stripping down. Don’t even think of wearing a robe. Someone will wash you and scrub you so hard that all your old skin will be gone. It’s sort of once in a lifetime experience. When you go to Morocco, you’d be crazy not to go to a hammam. Most tourists choose to go to hammam to either La Mamounia or Royal Mansour hotels, as they’re the most luxurious in town. Their spas are gorgeous, however, both of these places are extremely pricey comparing to regular Marrakesh spas. For a day pass to La Mamounia you’ll pay $50 not including any treatments. Start out from Marrakesh’s main square, just as it prepares for the afternoon madness. It’s easy to get to by taxi or walking, so you won’t start your trip in Marrakesh by getting lost. The square is always crowded and filled with snake charmers to medicine men, magicians, storytellers, musicians and acrobats during the day. At dusk, it changes into a huge open-air dining area packed with stalls lit by gas lanterns. But in order to actually watch any of the performers and take photos of the food stalls, you’ll have to give them a few bucks. But don’t worry – it’s worth it! While eating at the square is amazing, be very careful as some of the food stalls prey off of unsuspecting tourists. They’ll bring you extra plates of food and say it’s complimentary. But at the end of the meal they will stick you with a huge bill including all of the ‘complimentary food’. Unless it’s olives and bread (customary in Morocco) don’t let the vendors leave anything you didn’t order on your table. 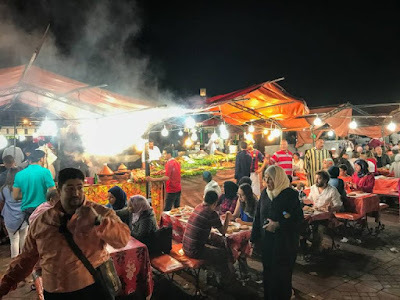 After filling your stomach, if it’s early enough, you can proceed to shop at the souk (they usually close around 8-9 PM). There are plenty of souks around Jemaa el Fna square, so you won’t miss them. 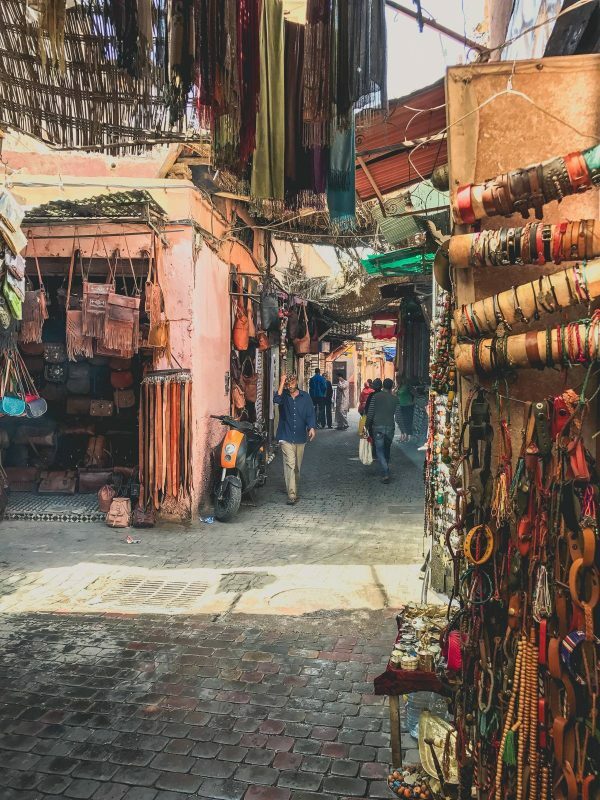 Even if you’re not planning on buying anything, wondering around busy market streets of the souk is an experience itself. I definitely recommend buying some aromatic spices, especially saffron, as it’s way cheaper than anywhere else. If you like antiques and traditional decor, you might want to bring home a Moroccan lamp or a Berber rug. Don’t forget to haggle – you won’t be able to buy anything without haggling in Morocco! On your second day of adventures in Marrakesh, I recommend actually enjoying your accommodation. Whether you decide to stay at a riad, fancy hotel, or cheap hostel, from my experience every place in Marrakesh has something to offer. Locals love to eat breakfasts on the rooftop and take some time by the pool while drinking delicious mint tea, so you might want to do the same. 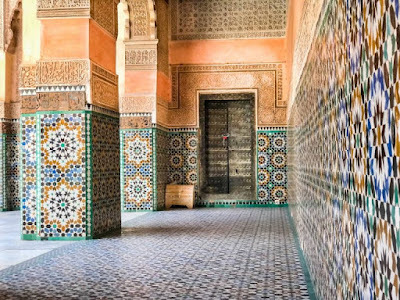 Ben Youssef Madrasa is a place you’ve probably seen on Instagram endless times, even if you don’t realize it. 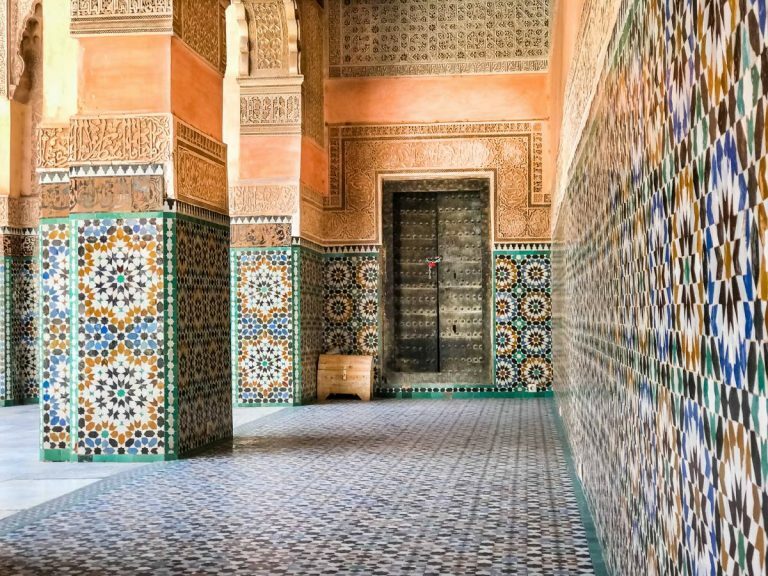 With zellij tilework, intricate stucco and finely carved cedarwood, it’s the most impressive medieval Koranic school in Morocco. Everyone will be impressed by the arches, tiles, and corridors of this place. The inscriptions are quotations from the Koran, the most common being its opening invocation: “In the name of God, the Compassionate, the Merciful”. Ben Youssef Medersa is also one of the few things that tourists can photograph because mosques are closed off from tourists’ eyes. I recommend going there semi-early (before 2 PM), as it gets busy in the afternoon and you might need to wait to enter. 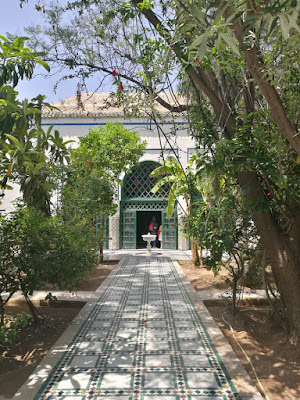 The tombs of the Saadian dynasty that ruled Morocco from 1554 to 1669 is another must-see sight. I suggest visiting with a guide who can give you the background and history of this site. I went without the guide and didn’t really find it very exciting until I read up on it after my visit. Your last day of the weekend in Marrakesh you might as well start in style. If you can splurge a bit take a hot air ballon flight over the Atlas Mountains. Trust me, it’s totally worth your time and money. After the incredible flight a Berber breakfast is served followed by a camel ride through the desert. 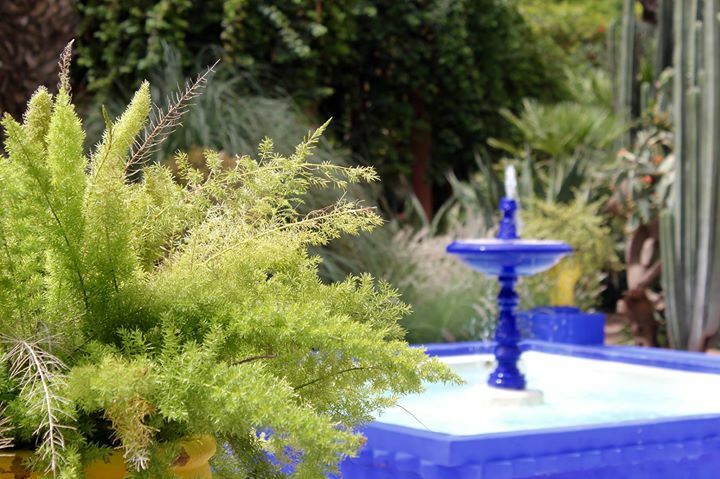 In the afternoon leave the Medina for the Ville Nouvelle’s most important sight called Jardin Marjorelle. This wonderful twelve-acre ornamental garden with cacti and lily ponds was created in the 1920s and 1930s by French painter Jacques Majorelle It took him 40 years to create the gardens, but after his death, if it wasn’t for the fashion icon Yves Saint Laurent who bought the garden, the place would have been eaten by bulldodgers. Bahia is a nineteenth-century grand vizier’s palace that contains some of the city’s finest painted ceilings. 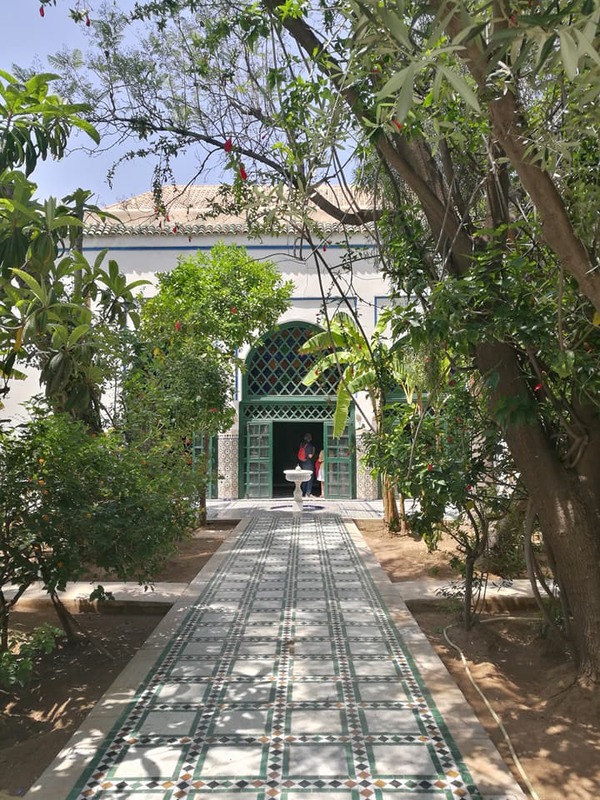 South of the great courtyard is the large riad with fragrant with fruit trees and epiphany of Arabic architecture. It has a very majestic look. El Badi, on the other hand, is an impressive ruin. It’s less touristy (in fact, there were barely any tourists during my visit) and costs less. If you pay only 10 dirhams extra you can also see the original Cordoban pulpit from the Koutoubia Mosque.